What music critics have said for years about The Velvet Underground could easily apply to Big Star, too: they were much more influential on later bands than the sum total of all the records they sold. Bands ranging from R.E.M. to Wilco to Cheap Trick to Teenage Fanclub to Dum Dum Girls all cite the influence of and appreciation for Big Star. A cover version of Big Star's "In The Street" served as the theme song for the popular TV sitcom That '70s Show. Some thirty musicians (including Mike Mills of R.E.M. fame) are banding together Friday night in Carrboro, NC, to pay tribute to this seminal band by staging orchestrated versions of two of their albums. Where: Cat’s Cradle, 300 E. Main St. Carrboro, NC. When: Friday August 22 Doors at 8 p.m. Show at 9 p.m.
Big Star was formed in 1971 in Memphis, Tennessee, when two guitarist-songwriters, Chris Bell and Alex Chilton, teamed up with drummer Jody Stephens, and bassist Andy Hummel. (Alex Chilton had been in The Box Tops and sang the lead vocal in their 1967 #1 hit "The Letter" when he was only 16.) The band released three albums between 1972 and 1978. The album Big Star's Third was recorded and released under troubled circumstances. Jason Ankeny writing at Allmusic.com described the album as "the slow, sinking sound of a band falling apart." Yet, many critics and musicians today hold the album in very high regard. Bell died in 1978 and Chilton and Hummel both died in 2010. It's been some 42 years now since their debut No. 1 Record and their third record, also known as Sister Lovers, was recorded in 1975. Even after all this time their influence still reverberates today; and, it will be in full view Friday night at the Cat's Cradle in Carrboro when a group of musician-fans and the sole surviving member of the band stage Big Star's Third: An Orchestrated Live Performance. This performance will also feature the songs from Big Star's No. 1 Record as well. Chris Stamey from the dB's is behind a traveling collective of musicians performing Big Star's Third album as far afield as New York City and London since 2010. Stamey, along with Big Star's drummer Jody Stephens and musicians Skylar Gudasz and Brett Harris, all joined Eric Hodge to talk about the Big Star legacy and the upcoming Cat's Cradle performance. You can listen to the interview and an exclusive in-studio performance at the audio link just below the picture at the top of this article. Other musicians scheduled to appear on stage Friday night at The Cat's Cradle include Mike Mills (R.E.M. ), Mitch Easter (Let's Active), Tift Merritt, The Connells, Gary Louris (The Jayhawks), Django Haskins (The Old Ceremony), Matt McMichaels (Mayflies USA) and others. This event is a part of UNC-Chapel Hill's Southern Folklife Collection's 25th Anniversary Festival. “There’s a lot of growing up in this record,” says vocalist/guitarist Dave Wilson. 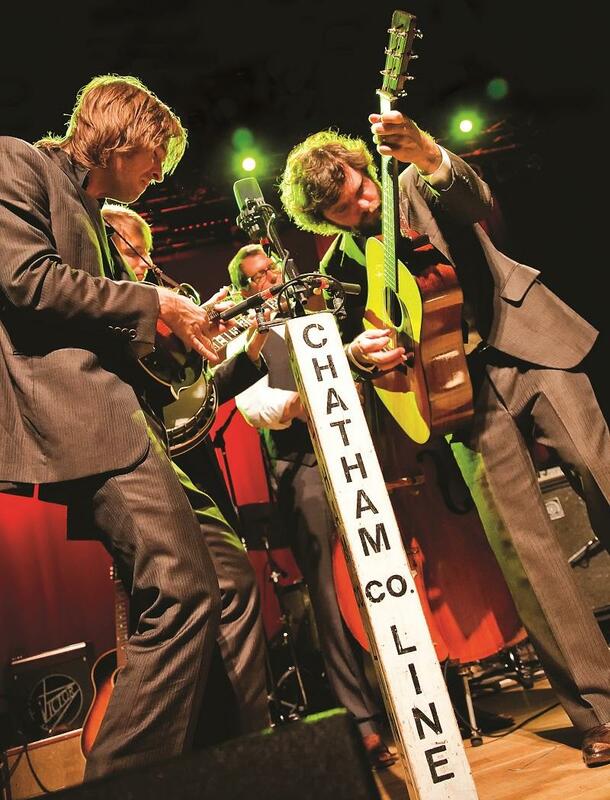 Chatham County Line is celebrating the release of their latest album, Tightrope from Yep Roc Records. The foursome stopped into the WUNC studios to talk with Eric Hodge. The interview begins with this song: Any Port in a Storm. 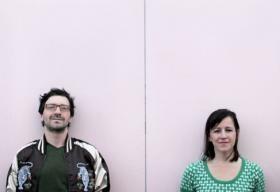 Duncan Webster and Leah Gibson have each honed their chops with bands including Lost in the Trees, Hammer No More the Fingers, and Bowerbirds. Recently the two Durhamites joined forces to form Beauty World. The duo is also a couple. They've both played in several bands, but were introduced by a mutual friend. The five-song E.P. features the song, "Architect". Webster wrote it about his own challenges in learning building design. 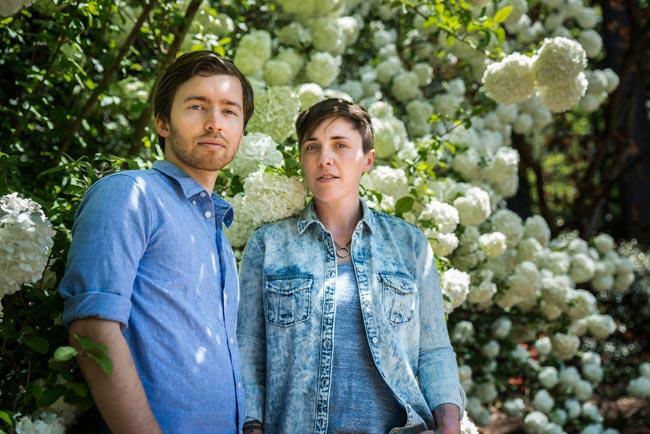 Kym Register and Will Hackney are back in the Triangle after a long stint on the road. The pair makes up the band, Loamlands, and they’re playing a homecoming show in Carrboro this weekend.